For my 50th birthday, my entire family pitched in to send me to Essen. Mom bought the airplane ticket, my sister pitched in the hotel room, my brother in law (who is German) agreed to come (not a self-serving bone in his body!) and play tour guide, and my wife agreed to herd the zoo of our four kids for several days while I gallivanted to Germany from the US. Here are some of my observations and high moments that really will stay with me forever. My trip to Mecca.. errr Essen… was inspiring. Meeting half the SdJ jury and having the chance to play a couple games with them – like the beggar being asked to dine with the king – really nice group of people. Just happened to be staying at the same small, nearby hotel. When my cohorts went to bed, the jury (and a couple other friends of theirs) graciously invited me to join them and were kind enough to speak in English so I would feel included. Outstanding people. I tried to ‘play it cool’ and did not have a picture taken with them.. however, I confess that the next day I scurried to the SdJ booth and posed by a poster that had the jury on it, so I apologize for that.. . 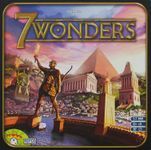 After teaching 7 Wonders at a table while the Asmodee person sprinted off to the bathroom (he was literally doing the ‘potty dance’ in his chair) and grabbed lunch (poor guy) – he was so impressed with my teaching that the next day he found me as we finished a game with Cities and Leaders (we had not played these expansions before), remembered my name (thereby impressing my sister and brother-in-law no end and certainly making my day – an enormous # of people flock through and he remembered me.. wheee) and asked if I could teach a group in French.. what a compliment!! (unfortunately, my French is too weak to have helped.. .
Incidentally, the folks manning the booths work really hard and have a long four days. While there are occasional sour apples, they are generally up-beat, helpful, willing, and supportive. I will say that being a game geek or helping to sell for a company does not have a lot to do with being a good trainer (which I am familiar with professionally) and the vast majority of the explanations we received were fairly weak, even if they were plenty sufficient for us to forge ahead. There was also a few company areas notably understaffed and these definitely suffered as I watched some frustrated folks. I must have been glazed by the sheer grandeur of it all as I am usually not too patient, however, I was so pleased just to be on hand that it didn’t bother me the way it seemed to put off a few folks. Watched Reiner Knizia signing copies of his new game Prosperity. Incidentally, I got to play that twice and it is very good. 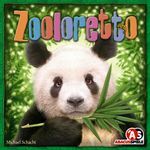 It was a zoo with people coming up to get their games signed… but Dr Knizia was gracious and pleasant to everyone.. all the while looking fabulous in his suit.. I couldn’t help thinking he was taller than I thought he would be, not sure why that was.. He never even flinched as many folks ‘photo-bombed’ with him and I kind of wish I had also – I had a warm glow of having ‘visited the birthplace’ somehow seeing him at Essen. I did purchase several games – notably card expansions for Agricola, the expansion for Dungeon Petz, the expansion for T’zolkin, and also Augustus and Twin Tin Bots. Also, I added several games to my Xmas list including Prosperity, Carrera, Glass Road, and a couple others. The empty second suitcase I brought with me was pleasantly loaded for the trip home. Augustus was my sister's favoite so it got the picture. Got there early and stayed until the end all four days – it is a zoo with vast herds of gamer cattle milling purposefully and aimlessly about. Surprised by the number of kids and families, even infants, trolling around. 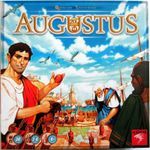 Played Augustus with a nice family of three who so enjoyed the game that I was smiling for an hour afterword at how much joy they took in it. There was also the usual (at conventions in my experience - if not Essen) few people decked out in period and thematic garb… a couple in realistic science fiction animal outfits must have been ferociously hot and uncomfortable but they looked great. Another individual's hose were a bit too tight.. but we won't discuss the visual effect that created. Passed by the BGG ‘tent’ a number of times to vote for games I played and liked. Walked behind the table for two seconds to shake Aldie’s hand and thank him for the website and all his efforts. Having been at the site officially for a decade, it was surreal to see that, in fact, the BGG people really exist in real life and they really aren’t virtual creations. I suppose I was a bit like the country yokel in the big city all four days, craning my neck at the huge buildings… but it was just so fantastic to see the ‘legendary mileposts’ of my gaming existence. Some games were well-represented with many tables available to play, such as Relic Runners, .. other games, Including Glass Road and Caverna had a very few tables and were near impossible to have a test play. It was surprisingly uneven, though I am sure there was an invisible magic that guided this having to do with game company budgets, ultimate sales expectations, limited space, and other such arcane lore. The last two days, my sister, my brother-in-law, and I trended toward what my sister dubbed as “serendipity gaming” where we wandered aimlessly and played whatever we passed that was available. While we played a couple of games we were so-so on, we also ended up playing Carrera.. which I loved and will have to buy, but also a laugh-race game called The Sheep Race – which was perhaps the most fun of the weekend for just silly grins. Very cute little sheep, clever yet simple mechanic, and importantly, short enough that it’s cuteness does not outlast the game (a great one for family play). I won’t own that but it deserved a callout. Smoking is more prevalent in Germany, or at least Essen, than in the US.. one thing I am thankful for on this side of the Atlantic. Some games made it to Essen, some not. I made a list over the last months of games to see/test. Some of them made it and some didn’t. I was prepared to buy Factory Fever sight unseen loving Factory Fun so much.. but apparently it ran into delays ( I see some stuff on the geek about artwork issues). It is interesting that, like any business (which the size and scope of this event surely underlined - it IS a business), there are projects and programs that meet their schedules and others that don’t. Some manage higher quality, some don’t.. some change, some fail, some succeed beyond what was anticipated. But ultimately, while for me this is about playing games, for the people at the fair, it is also, and for some, mostly, about being a business. I guess as the ‘player only’, and a hobbyist, the depth of the business behind the games I love was not something I thought about a lot. All Halls are not made alike. Hall 1 and 3 were the big ones for me, particularly Hall 3. Hall 2 seemed to have a lot more ancillary stuff with a lighter focus on actual board games. I learned that lunch is truly optional if you can’t get enough games. The hotel we stayed in was very pleasant and included a lovely breakfast buffet. Three courses later, we would waddle the 15 minutes to the convention center and enter with the vast, conquering, seething hordes. (Some folks really do sprint in when the doors open.. I guess to play one of those games that was under-represented.. or maybe to just run off their own over-large breakfasts). Lunch was not even considered until the dinging noises marking the closing of the Halls.. at which point discussion over what to eat for dinner commenced. Four days with no lunch.. I think I actually lost a pound or two… wheeee!